“Not long ago”, whispers Febri as he crouches down on the dimly-lit jungle floor. With his hand he outlines a faint track in the mud, then lets his arm rise to trace the animal’s path between the towering trees. My world shrinks as I realise that I share this forest with a big cat. A very big cat. “Don’t worry”, Febri assures me with a smile on his face, probably because the look on mine is so obviously uneasy, “they are not aggressive and humans are not on their menu – unlike perhaps in other countries where they have real man eaters”. I relax and stand in awe. Of this forest. Of sharing it with one of the most fascinating predators on the planet. This forest is Rimbang Baling Wildlife Sanctuary on Sumatra and I am here on a volunteering project with Biosphere Expeditions to study the Sumatran tiger. My journey here from Pekanbaru, a bustling city where I saw exactly zero foreigners over two days, took me past nothing but palm oil plantations for three hours. The destruction is as staggering, as it is heart-wrenching. I am reminded of the Scottish Highlands that once were covered in forest too and now are nothing but a heathery desert. Here on Sumatra, essentially every scrap of flat land has been converted into plantations. But Rimbang Baling lies in the mountains. Mountains so steep and inaccessible that they are of no interest to the palm oil barons. Mountains where the jungle still rules, where there are no roads, only rivers and streams along which you can travel into the forest. And as the world slips by under the humming of the outboard engine and the gurgle of the water under the longboat, buttressed forest giants guard the river, as they have done for what feels like thousands of years, their branches hanging over the green waters of the Subayang river, like cathedrals of nature, stirring something deep inside me, a visceral sensation of being part of the web of life. And this web of life is everywhere here. Wild pigs stand on the banks, completely oblivious to our passing (pigs are not hunted by the local Muslim population). A massive monitor lizard emerges from the water and snakes its way onto the bank. Gibbons sing their songs in the trees without revealing their location. Macaques are not so shy and perform their aerial acrobatics in the branches. Birds twitter, flap and fly. And green comes in a million hues – from the murky, muddy swirls of the river to the bright, clean colour of palm leaves. And it is here that the tiger has taken refuge. The Rimang Baling sanctuary was established in 1984 and currently measures 1360 km2 comprising highland and mountain tropical rainforest ecosystems. Slopes vary between 25% – 100% and the highest elevation is 1070 m. The sanctuary is a biodiversity hotspot and a known Sumatran tiger breeding area. As such it has been classified as an all-important global priority tiger conservation area. Although the outlook for tigers may often sound bleak, there are success stories too. In well-managed areas with effective tiger patrols and where local communities benefit from tiger presence, there are clear signs of recovery. It is therefore of critical importance that tiger populations are monitored regularly to safeguard effectively the populations that still exist and that local communities play a key role in and benefit from tiger conservation. And this is why Biosphere Expeditions, a non-profit conservation organisation, together with WWF Indonesia, has established this expedition in Sumatra. This expedition is why I am here. A few years back, WWF Indonesia asked Biosphere Expeditions for assistance with tiger monitoring and to act as a showcase for how responsible, low-impact tiger tourism activities can generate local jobs and build capacity. My being here in the jungle is the result and I am on the first group of the inaugural expedition. We get up with the sun and to the sounds of gibbons singing as the forest awakens. In small teams we venture out into the green, sometimes sweating our hearts out as we climb the steep hills in search of signs of tiger and their prey, sometimes enjoying the natural air-conditioning of a boat ride to a remote community to ask them about tiger events and their attitudes towards the big cat. Only yesterday we had word and a mobile phone photo of a tiger track in a rubber tree plantation. Today we are back to have the man with the story and photo lead us to the spot to search for more signs and perhaps place a camera trap that will monitor the area for us. Wherever we go, small crowds gather to look at the strange strangers looking for the tiger. Wherever we go, there is purpose and drive in the team, made up of people from all over the place. There’s Tessa, a user experience designer from California; Manuela and Matthias, a health worker and an architect from Germany; Michael, working in IT from Australia; and Steve from Hong Kong; and of course our Indonesian scientist from WWF and his helpers. But despite our different backgrounds and ages, we mould into a team quickly, united by our common goals and interests in nature and wildlife. The green hills are steep and hard work. Easier access is provided by the myriad of streams that cut their way through the steep mountains around us. It is cool and shaded down here. Butterflies skirt the clear air. A wild pig crosses the river 20 metres behind us, with one eye on us and the other on the path ahead. We have a wildlife ranger with us – there are only four for the huge sanctuary! – and he documents illegal logging that we come across (and later some arrests are made). We follow the bends of the stream, sometimes wading, sometimes climbing over logs and sometimes cutting through the forest, our machetes singing, on a bend with deep water. Some of us opt to swim instead. Deeper and deeper we get into the forest, documenting tracks in the mud and sand, scratch marks on the trees – made by the Malayian sun bear and the tiger – setting camera traps in promising locations in the woods. It is a long, wet and exhilarating day. And at the end of it, we reach a stone bowl where the stream cascades down the rocks, power-showering us with diamonds of water, creating rainbows where the sunlight penetrates the canopy above, bathing the forest in spray and colour, soft green moss everywhere. It is an enchanted place and in our hearts we are certain we are the first foreigners to set eyes on it. We are trailblazers, explorers of old, having swapped our guns for camera traps, helping with tiger research and conservation and bringing money to local communities by buying their food and using their boats, expertise and other services. And as the sun sets on our day, camera traps hold a silent vigil in the forest next to the giant forest trees. We fall asleep hoping that they will see the tiger pass through the forest and take pictures for us. Pictures that will be one piece in the puzzle that is the survival of the Sumatran tiger in his beautiful and embattled jungle home. The Sumatran tiger (Panthera tigris sumatrae) is endemic to Sumatra, one of the largest islands in the Indonesian archipelago. It is the smallest of all of the tiger subspecies and is distinguished by heavy black stripes on its orange coat. Listed in IUCN’s Critically Endangered category, there are probably fewer than 300 individuals left in the wild. As a top predator, the tiger needs large joined-up forest blocks to thrive, and used to roam across the whole island. It now occurs in isolated populations, its habitats having been drastically reduced by clearings for agriculture, plantations and settlements. This habitat destruction also forces the tiger into settled areas in search of food, where it is more likely to come into contact – and conflict – with people. Next to habitat destruction, poaching is another very potent threat. Studies have estimated that up to 78% of Sumatran tiger deaths, consisting of about 40 animals per year, are as a result of poaching, either as retaliatory killings or to feed the demand for tiger parts. Despite increased efforts in tiger conservation – including law enforcement and anti-poaching capacity – a substantial market remains in Sumatra and the rest of Asia for tiger parts and products. Indonesia is an archipelago comprising approximately 17,000 islands, only 8,000 of which are inhabited. It encompasses 34 provinces with over 238 million people, making it the world’s fourth most populous country. Sumatra is one of the biggest islands of the archipelago. Indonesia’s size, tropical climate, and archipelagic geography support the world’s second highest level of biodiversity (after Brazil) and Indonesia is second only to Australia in terms of total endemic species. 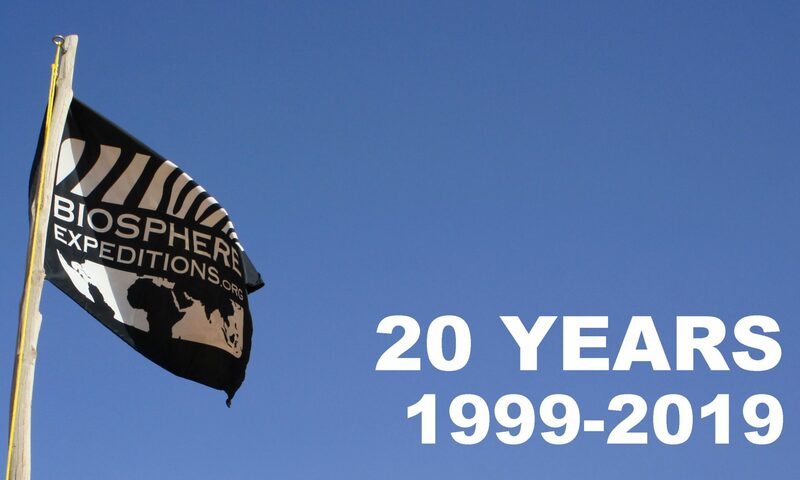 Biosphere Expeditions is an award-winning not-for-profit conservation organisation, and a member of IUCN (International Union for the Conservation of Nature) and of the United Nations Environment Programme’s (UNEP) Governing Council & Global Ministerial Environment Forum. Achievements include the implementation of conservation recommendations and species protection plans by numerous national and regional governments and NGOs, the creation of protected areas on four continents, scientific and lay publications, as well as capacity-building, training and education all over the world. Their annual expedition to Sumatra is on www.biosphere-expeditions.org/sumatra. Everyone can take part and there are no age limits or special skills requirements to join. 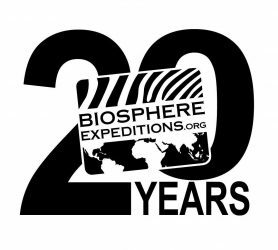 Other project include leopard of the Western Cape, marsupials in Australia, snow leopards in Kyrgyzstan, reef surveys in the Maldives, Oman & Malaysia and many more – http://www.biosphere-expeditions.org. These days it is hard to find a worthwhile volunteering experience that achieves tangible benefits. The market is full of profit-driven, unscrupulous operators, which do little for local wildlife at best and are harmful to it, and local communities, at worst. Biosphere Expeditions was amongst a group of experts in volunteering, wildlife conservation and protection to develop pointers to provide practical help to those looking to choose a holiday or gap year experience that was going to be beneficial not only for themselves, but also for the wildlife and communities that they would encounter. http://www.biosphere-expeditions.org/toptentips.